Rio Ruiz went 1-for-3 with a two-run home run and a walk as the Orioles lost the Athletics by a 10-3 score on Wednesday. 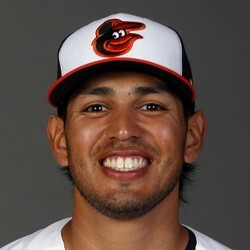 Ruiz has been getting most of the playing time at third base for the Orioles to start the season. But the 24-year old infielder has not been doing much at the plate hitting .206 with a .282 on-base percentage over 11 games played. Ruiz is not worth owning in fantasy.